If Isaiah Thomas could score 29 ppg and drag his team to the ECF playing with Kelly Olynyk and Amir Johnson, I think he'll probably be ok playing with Kevin Love and the best player in the world Lebron James. Yeah, there's this thing called "context" that matters. Granted, I will say that only 2 of their games were at home where 5 of ours were at home, but this has largely been the M.O. of the Cavs this season, especially their winning streak - beat the bad teams to better the record and lose to the good teams. They really don't have any notable wins against good teams this year. Their lone win against a top opponent was us on opening night, which given the circumstances of that game doesn't really count in my mind. As for the IT comment, it's their defense that has been suffering, which IT will only make worse. He'll probably make their offense better, but how much that will be neutralized by his defensive deficiencies is yet to be seen. If context is what matters, recall that this same discussion has been had each of the past few seasons. Yet the Cavs reached the Finals every one of them. I'd argue it's less logical to place more weight on several months of data versus several years of data. But hey, knock yourself out. You realize your argument is self-refuting, right? With context mattering, the fact that the context of this season is much, much different than the last several seasons means your argument makes no sense and refutes itself. And that's beside the point that this whole narrative of "they always do this" is a revamped version of the appeal to tradition logical fallacy. The entirety of my argument is "LeBron James." I'd bank on that more than aging, line-up changes, injuries, etc. You can get hung up on new details every season. There's always going to be changes and new challenges, and superstars can transcend them. I don't know what traditional logical fallacy means, but I can't grasp how my argument is self-refuting when it's based in several years of evidence. People create doubt every year, and a lot of it is substantiated, but every year they prove the doubters wrong. The game is dominated by top talent, and for as much as I can't wait to dethrone him, the ECF still goes through CLE until otherwise proven. Because it's based on evidence that isn't analogous. All of the factors I listed above are changes to the fundamental context of the situation, so trying to argue from past experiences to predict this experience is then illogical given the fundamentally different contexts. For example, it's like me trying to argue that since Obama didn't Tweet something ignorant and immature every two to three days during his presidency, then we should also not expect Trump to Tweet something ignorant and immature every two to three days during his presidency. However, this is an illogical analogical argument, because the fundamental contexts (i.e. the two presidents' characters) are not analogous enough to justify drawing this conclusion. Things have changed so much (for the worse) that it's fallacious and illogical to simply point to the past and expect the same results; it's literally "apples and oranges." This is a fantastic argument. But what TH is saying is that none of that other stuff matters, only LeBron matters. In that context, there's every reason to believe the situations are analogous. I'm not sure if I agree with the idea none of that other stuff matters, but given that LeBron has been to the Finals 7 straights years, each year with seemingly a different supporting cast, there might be some merit to that argument. I have to confess that I ended up getting a lot of amusement out of this thread. I read some of these quotes to a room full of long-time die-hard NBA basketball fans and they were howling with laughter. Essentially, everyone was in agreement you'd have to be 11 years old and have no knowledge of the past whatsoever to believe the Cavs were "done" based on the most recent first half of the season. They even went so far as to invent a character named "Little Timmy" who would come to naive worst-case scenario conclusions based on knee jerk reactions all day long - it was a real hoot. What I learned from the "Little Timmy" experience is that it was best not to argue with him, but instead just chuckle and say "That's nice, I'm sure you're right." "That's nice, I'm sure you're right." According to basketball-reference.com, the Cavs are far worse defensively with IT on the floor. Though it's a small sample size, this is expected. The opposing team scores almost 6 more points per 100 possessions when IT is in the Cavs lineup. The opposing team's offensive rebounding and total rebounding percentages also jump significantly, showing not surprisingly that IT hurts the Cavs rebounding efforts. What's not expected is that the Cavs are also worse offensively with IT on the floor so far, scoring 8 points less per 100 possessions and suffering a colossal -0.55 in eFG%. I love IT as much as anyone, but at the same time I was in the "trade IT while his value is high" faction of the blog simply because he is the biggest mismatch in the league every minute he's on the floor. Because the playoffs are about matchups this can be really difficult to overcome. On paper the Cavs look to have had a decent offseason, picking up seasoned veterans and extracting good value for a disgruntled Irving. But the reality is that they didn't learn from their buttkicking from the Warriors in the finals and make moves to improve their defense. Regular season losses aren't usually something to be overly concerned about, but giving up 148 points on 58% shooting today is something else entirely. It's too bad Hayward had to go down with an injury. I want to be the team to dethrone the Cavs in the East especially before LeBron jumps ship. I think we still can, but if we had a healthy Hayward and a few solid additions to our bench I think we would beat Cleveland in 6 games tops. Isaiah as played 6 games in CLE. He doesn't have his feel for the game back yet, and the Cavs have struggled to fit all year. Any advanced statistics are pretty meaningless. And relative to his prior stats... he has been a plus his entire career (based on your PM), and improved for each team he spent any meaningful time on. Painting him as a net negative is super short-sighted and unfair, don't you think? I'm not sure what else CLE could have done to improve, and ultimately, there was nothing they could to to improve to the level of GS. They also haven't cared about the regular season in years, and their performance has shown that it doesn't matter. Maybe they aren't good enough to come out of the East this year -- I'm doubtful they won't -- but again we're reaching here about how meaningful their issues and poor stats will be when it matters. I think IT is figuring it out too but he is not Cleveland's biggest problem. They are soft inside and I think adding a big who can challenge at the rim will do them a lot of good. Plus they could move Love back to the 4. This is some your best work man. Great post. It is also interesting to note that even Lebron James himself came out tonight and said if they don't figure some things out they will be eliminated quickly. Lol. I agree, best work yet. Have fun guys. I don't really think there is a reason to collectively mock a bunch of the fans on the board for having a a different viewpoint than you. The people that thing Cleveland will still roll through the east could very end up correct. However, to say that people feeling Cleveland and Lebron setting records for defensive futility game after game doesn't even open up discussion and needs to be met with a room full of laughter and condescending characters doesn't seem very reasonable. 2. This is the worst it has ever been. That cannot be overstated or exaggerated. The mood around the locker room, the vibe among the players, the general feeling throughout the organization is a stunning bewilderment of how it all fell apart so quickly. 3. Even Lebron James is privately acknowledging to those around him that this is the worst it has been since he returned. Worse than trying to stomach David Blatt's unfamiliarity with the NBA, worse than the 19-20 start that first season, and much, much worse than anything he endured last season, when he skewered the organization for a "top-heavy" roster while questioning the franchise's commitment to winning. This is worse. Much worse. If only we were as smart as you, man. EDIT: And by the way, reports are out today (see my post above) that the Cavs players themselves -including James - even feel this way that this season is different than seasons past, so I guess they must also be 11 years old and caught up in the "Little Timmy" experience. and the cavs gave up 148pts to OKC....but everyone keep telling me they will be fine. Its one thing to go through a slump and look lethargic....but this defense has been like this all year. The winning streak covered it up but they were still giving up nearly as much as they scored. That is obviously a technicality because Irving was injured. Considering that is the only time Irving didn't play in the game in any season between 2013-2018 and hit the game winning shot in the finals this feels like a silly technicality to point out. Also, I'll add this could be a moot point, cause Love may make the game this year. I thought he was kind of a lock but I have seen some writers raking him over the coals and saying he doesn't make it for his defense, which some attribute to him being the biggest reason for their defensive issues over the year (although there are lots of contributors). Windy on ESPN: "Right now IT is killing this team"
And Thomas was injured this year, is that not a technicality either? I was merely correcting your incorrect statement. Thomas is not playing at an all-star level right now. He is shooting 39% from the field and 29% from 3, has been playing bad defense and was described as "killing Cleveland" right now by Windhorst (who is not exactly negative towards Cleveland). So no, it is not a technicality that Thomas is not in the all star game he is not playing all-star ball even though he is now back. Also, you accuse of me of trolling you and all this other stuff. Lets have a productive actual conversation about this and not try to "correct incorrect statements" with technicalities. The larger point is that, in my opinion, this is the first time since Lebron started his finals run that he has gone through the season without a teammate clearly playing at an all star level. 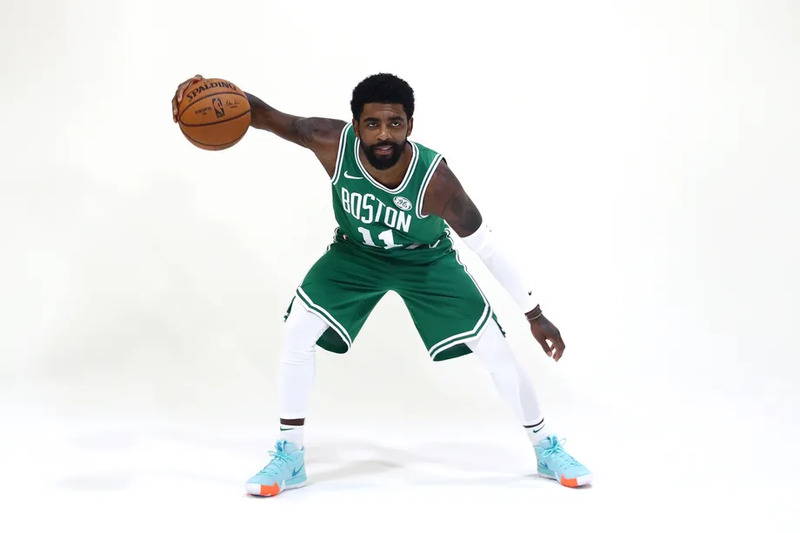 Irving has been an all-star every year without injury for more than half a decade. Wade was also an all-star every year from 2005-2016. There is not someone at that auto-all-star level every year on this Cleveland team. That is the point I am trying to make for discussion. Do you you agree or disagree with that?